French toast is probably one of the most decadent breakfast meals you can eat, and when I put the call out for Canberra’s best last week, I wasn’t quite prepared for the reality of starting my day with something so rich two mornings in a row. It’s rare that I can’t finish a meal, but the French toast at both places this week defeated me. Stand By Me in Lyons came out on top with the most votes, closely followed by The Cupping Room in the City. The Cupping Room, however, has recently changed its menu and the apparently delicious French toast was one of the unfortunate dishes that got the chop. With The Cupping Room out of the race, Penny University in Kingston (coming in at third place) was going to have to step up. 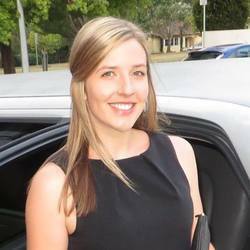 Other notable mentions go to Fox and Bow in Farrer, My Cafe in Manuka and Neighbourhood Food in Gungahlin. First up was Penny University on Kennedy Street in Kingston and its delicious croissant French toast. Yes, that’s right. As if it wasn’t rich enough already, Penny University decided to throw a croissant in the mix. It’s served with caramelised banana, cinnamon mascarpone, strawberries and a nice drowning of maple syrup. This is definitely not a breakfast for the faint-hearted – it’s very sweet, very rich and very filling. The mascarpone is the star of this dish for me, cutting right through all the other elements and providing some relief from all the sweetness. The next morning it was time for another serving of French toast, this time at Stand By Me at the Lyons shops. This cute little suburban cafe changes up the flavour of its French toast on the regular and is well known for their inventive creations. This weekend it was serving up peanut butter and jam French toast, made with peanut butter mousse, strawberry jam, raspberry gel and peanut praline. I’m a big fan of anything peanut butter and this was no exception. I loved the salty-sweet thing this French toast had going on, the peanut butter mousse was light and fluffy and the strawberry jam and raspberry gel were just the right amount of sweet. If you’re a fan of French toast, you can’t go wrong at either of these places. Penny University’s take on the fried eggy bread dish was delicious but just that little bit too sweet for me. 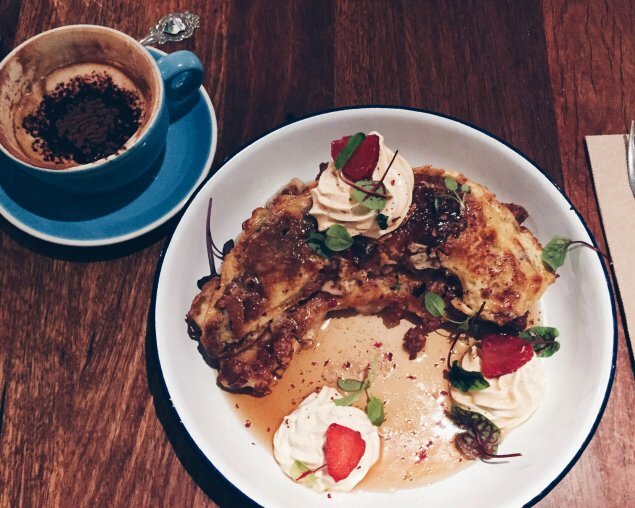 This week, Stand By Me takes the crown for Canberra’s best French toast – its creative and tasty take on French toast is second to none and I’ll definitely be heading back to check out what the next flavour will be. 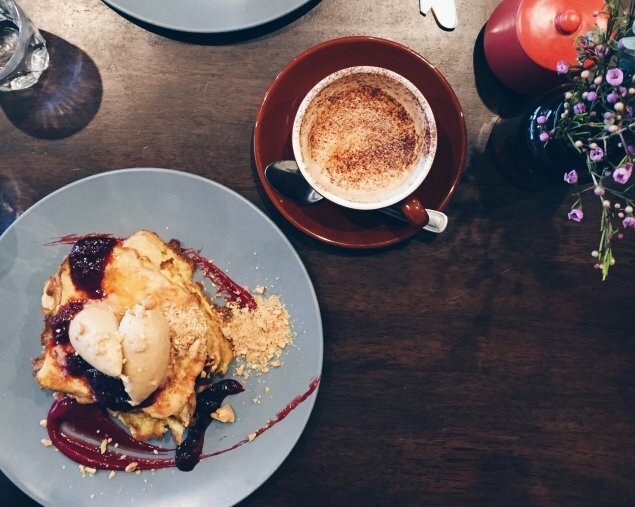 the croissant usage in p.u.’s serving reminds me, tangentially, that we need a (probably later to get over the sweets overload) ‘best of canberra’ post on bread and butter pudding. this is my go to dessert and, despite the dish’s name, i rarely use bread or butter; generally preferring good jam doughnuts or sometimes brioche (which is more or less bread) and – critically – duck eggs for the custard. but where in canberra does one chance upon the pinnacle of this classic? YES. Bread and butter pudding must be (sadly) out of vogue at the moment. It’s been a long time since I’ve seen it on a dessert menu, but I’m all for a revival, especially if it involves jam doughnuts and duck egg custard.